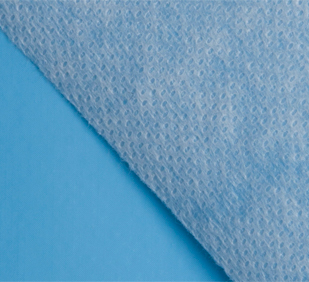 TST PROTEC Protector polyester nonwoven. Protection against shocks and scratches. Impermeable to water and other liquids, such as paint. Prevents dirt and dust from reaching the surfaces to be protected. The nonwoven manufacturing process by Needlepunch or punching is performed by a great number of punching needles disposed in vertical, that are crossing to others disposed in horizontal. Punching is a production technique carried out in dry conditions. It is normal to provide the Needlepunch nonwoven a treatment to get appropriate porperties to its final use.